G W C-WATERPROOFING. 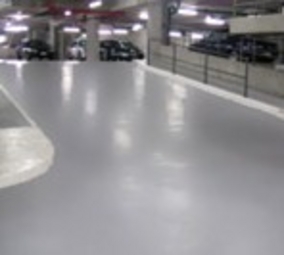 Specialize in Pedestrian Coatings, Vehicular Coatings, Decorative Coatings, Rooftop Coatings, Elastomeric Coatings and Parking Structure & Garage Coatings. Ideal for foot traffic at Hotel, Condominiums, Apartments, office Building,Residential Homes and much more. All these systems can be installed in, Balconies, Rooftops, Corridors, Stairs, Plaza, Pool Decks etc. Deck coating can be applied as waterproofing or decorative, Decorative coating can be installed without the waterproofing depending on the job requirements.Technologies include Urethane, Acrylics, Cementitious with a wide variety of colors and texture. Serving the Northerner California area: Sacramento,Folsom,El Dorado Hills,Granite Bay,Rancho Cordova,Rancho Murieta,Davis,Woodland,Stockton,Lodi,Jackson,Elk Grove,Roseville,Lincoln,Rocklin,Fair Oaks,Alamo.Laguna,Auburn,Lake of the Pines,Fairfield,Vacaville,Concord,WalnutCreek,Danville,SanRamon,Dublin,Modesto,Hayward,Castro Valley,Union City,Fremont,Santa Clara,San Jose,Livermore,Tracy,Lathrop,Copperopolis.Yuba City,Danville,Placer ville,Shingle Springs,Cameron Park. State License:841481© Copyright 2019 GWC Waterproofing. All rights Reserved.